What is an "Xtremepreneur?" Allow me to answer in an extreme way. I was recently invited to a cave dive in the Yucatan Peninsula with Guillermo de Anda, one of National Geographic's Global Explorers. We rappelled 100 feet underground to the surface of a "sacrificial cenote," or subterranean lake. ("Sacrificial" because human sacrifices actually took place there.) Equipped with underwater torches and a video camera we descended into the darkness of what the Maya call "Xibalba, the Underworld Goddess of Death." After traversing ancient limestone catacombs we emerged into a grand underwater cavern, when suddenly my buoyancy compensator filled with water and I sank uncontrollably. 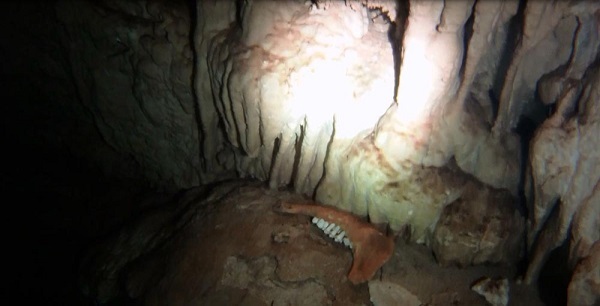 By the time the dive team noticed, I had plummeted 120 feet to the cavern floor! I literally had to pry my mask from my face to equalize it, and as I did my nose and throat flooded with water. Guillermo appeared in front of me with his hand raised cautioning me to not panic. On my knees in the darkness among scattered animal and human remains, and unable to breathe, I was about to find out who I was with respect to my opening quote of, "conviction above circumstances." Before I tell you what happened next I want to discuss Xtremepreneurs and World-Changers for a moment. 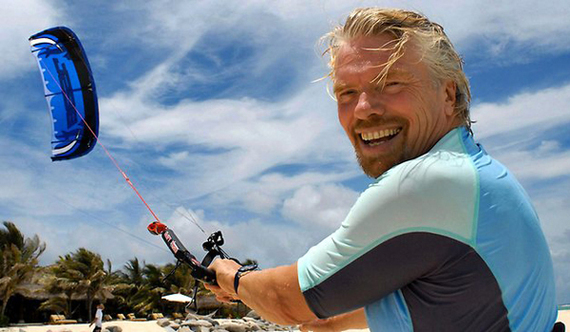 Xtremepreneurs are a hybrid between extreme sports enthusiasts and philanthropic entrepreneurs. And while the sports they engage in, (kiteboarding, base jumping, heli-skiing, cave diving, etc.) possess varying degrees of risk, those who participate in them share a common philosophy of using extreme challenges to access extraordinary capabilities. On my knees, staring at Guillermo's raised hand, two waves of energy roared through me. First was sheer terror and second was some urgent advice from deep within my core, "Val Jon, you can't make the surface, you need to work with what you've got. If you don't, you will die right here, right now." What happened next was a testament to the power of the Human Spirit and Greater Self which I believe dwells within all of us. Rather than panicking or trying to force a solution, I literally surrendered my Will over to the Greater Self Within Me to know what to do. And what was that? To simply wait until I could swallow the water blocking my airways and take tiny breaths until I could regain my composure. I did just that and by doing so it saved my life. You might conclude it was remaining calm that saved me, but I say this to you. The moment "I" got out of the way, the Greater Self Within Me knew exactly what to do. It is this same Greater Self within us that always knows what to do, not only in life and death situations, but in business dealings and with respect to realizing our greatest dreams and aspirations. I have a profound admiration for those who persevere and use life's challenges to better themselves and at the same time support others in doing the same. And obviously I have a special appreciation for the extreme crowd. To me, Xtremepreneurs like pro-kiteboarders Susi Mai and Bill Tai, founders of Mai Tai Global are an example of real World-Changers. And while I run the risk of appearing promotional, I want to mention a remarkable mentoring project Richard Branson and Kym McNicholas are spearheading in partnership with MaiTai Global called the Extreme Tech Challenge, XTC. I pay tribute to them here because it's my way of giving back to the spirit of mentorship that was so instrumental to my own entrepreneurial success many years ago. These kinds of extreme mentoring projects develop something extraordinary within us, something greater than thrill seeking or even fame and fortune. There is a need today for bringing greater purpose and contribution into the world of commerce. And while it may sound Pollyanna to some, what I see happening is an "evolution of self" in which our egos are learning how to step aside so our Greater Selves can step forward into our lives and into our world. This spirited movement is The Rise of Xtremepreneurs, Today's World-Changers. To learn more about a wide range of mentoring programs, log onto SuperSummit. You'll find a host of world-class talent gathering there. I also personally invite you to learn about our growing Global Xtreme Team at www.whowithinyou.com. And finally, true to my extreme spirit I encourage any and all Xtreme expedition invites! 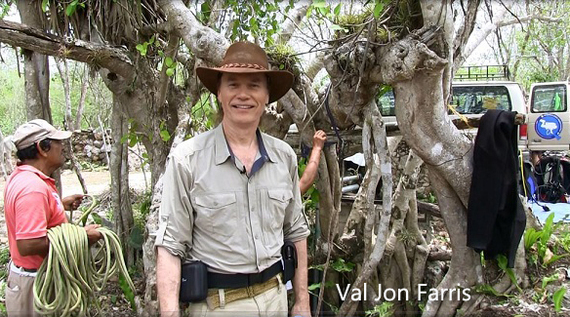 Val Jon Farris.